Help all learners successfully master the basic math skills needed in today's health professions. 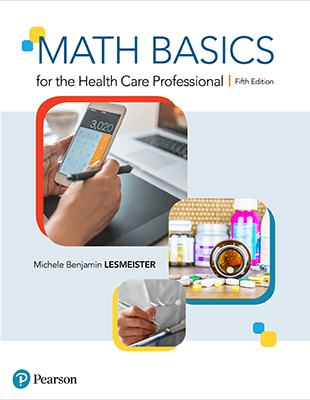 Math Basics for Healthcare Professionals, 5th Edition has a fresh, open design that includes white space for student practice, plus many helpful learning features. Designed to help any learner master the math skills needed in the current healthcare workplace, this entry-level text begins with a comprehensive pre-test to gauge students’ abilities and remediation needs. Next, it offers practical, health-centered coverage of pre-algebra, the metric system, reading drug labels, medicine cups, syringes, intravenous administration bags, parenteral dosages, basic intravenous administration, and basic dosage by weight units. Each unit provides a pre-test, followed by concept review, instruction, examples, practice problems, critical-thinking questions, and a post-test. Appendices include answers to odd-numbered practice problems, additional practice, a comprehensive post-test, and student learning resources. Organized to build skills sequentially, the text uses clear writing, simple explanations, healthcare-specific examples, abundant practice exercises, and proven mnemonics to support retention. 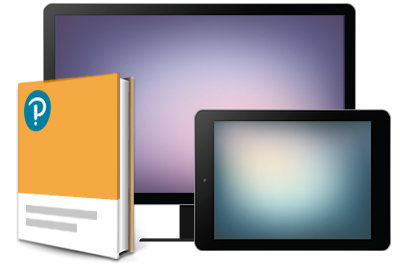 MyLab™ Health Professions is an online homework, tutorial, and assessment program designed to work with this text to engage students and improve results. Within its structured environment, students practice what they learn, test their understanding, and pursue a personalized study plan that helps them better absorb course material and understand difficult concepts.